We had several trees we assumed were dying or dead, called Advanced Arborculture to come out and give us an estimate. They ended up being able to treat some of the trees and save us a lot of money! He was on time for the estimate and got the job done in a timely fashion. His workers were also very polite, professional, and considerate of our yard, home, and surroundings. 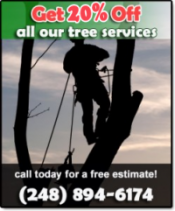 Would definitely recommend this company to anyone looking to get any type of tree services done without forking out an arm and a leg! 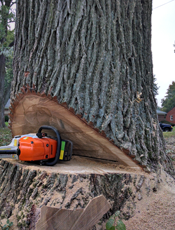 I had several large trees trimmed and cut down in Troy. Service was prompt and efficient, clean up was very thorough. I have finally found a company that I can depend on. Their service is better than anything else I have found. Kevin works very hard to ensure that we are more than happy with the job. We will be having them back every year.